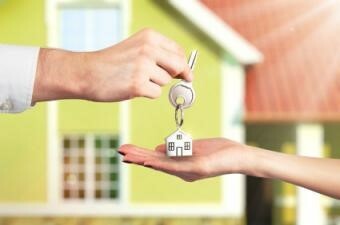 Home Sweet Home: Tips For Buying Your First Home | Puck Realty, Inc.
Buying your first home can be an exciting milestone and yet scary leap into the unknown. Whether you are buying your first home as a working post-graduate student, newlywed couple or mature adult seeking to settle down, here are some tips that can help ease you through the process and the myriad of “what to do’s” as you find the place that is right for you. Hire an agent thru Puck Realty. Home buying is a big investment and intricate process. Your best step is partnering with someone who is experienced and knowledgeable who can help you through the process. Puck Realty real estate agents know the area that you are looking into and can help be both an informant and advocate for you every step of the way. They can help assess your needs and steer you in the right direction for your goals and your budget. It’s good to know that you don’t have to walk alone! Now that you have someone who can help you, prioritize what you are looking for in your first home. Figure out what price range you can afford and then drill down in what you want. Do you want a small home or a larger one that you can grow a family in? Does it need to be in a certain location of town? Figure out your wants and needs. Then begin researching through listings. This is where having an agent to help comes in handy. They will be well informed in the communities that you are looking into and can help stay on top of the market in your area to help you find the right home. Work on your loan and financial process. Most first time home owners have to take out a loan when they are making their purchase. It is good to start this process even before making an offer to be pre-approved for a loan. For many, this is their first time taking out a loan for a home. Your bank can help refer you to the best mortgage brokers or will have that resource available to them. There are many types of loans available to you. Figure out if you are able to do a down payment and find the one that is best for you. Knowing what you are pre-approved for will help prepare you as you are looking at price brackets for your new, potential home. With these steps in place, you will be well under way to find the home of your dreams. Home buying is an exciting process and great step in life. Whatever you are looking for, be prepared and don’t walk alone. Find the right people and resources to help you make the best decisions for you every step of the way. Like Dorothy said, there is no place like home!